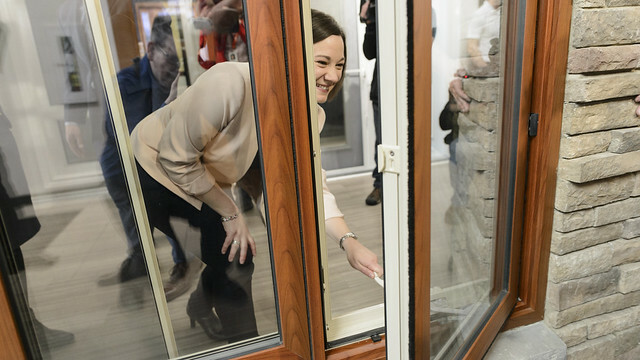 A new Energy Efficiency Alberta program will support homeowners and local Alberta contractors through rebates for insulation, tankless hot water heaters and windows. Beginning April 28, rebates of up to $3,500 will be available for eligible home improvement products, including insulation for attics, basements and above-grade walls. Tankless hot water heaters (ENERGY STAR® certified) and triple glaze (low-e, argon) windows will also be available. To qualify, homeowners must select from a list of Alberta-based registered contractors on efficiencyalberta.ca to install eligible products. Contractors will guide homeowners through the application. Rebates will go directly to the homeowner once each project is complete. The Home Improvement Rebate is one part of Energy Efficiency Alberta’s Residential Retail Products Program, a $24-million program providing opportunities to purchase energy-efficient appliances and products. More details on other products in the program will be coming soon. Home Improvement Rebates: You can buy eligible products and have them installed by a certified contractor to receive rebates. Online Rebates: You will be able to buy qualifying clothes washers, refrigerators and smart thermostats, and apply for rebates online. Instant Rebates: You can receive instant point-of-sale rebates on eligible products, such as LED lights, programmable thermostats, water-saving devices, smart power strips and heavy-duty timers.